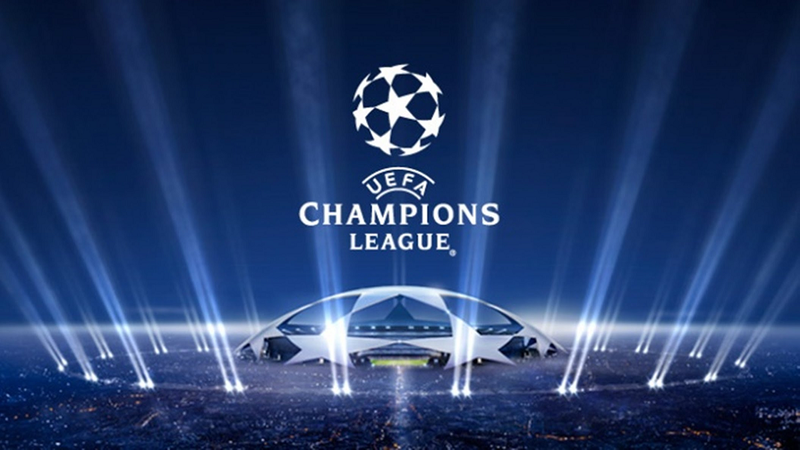 The Champions League is back this week and 32 of Europe’s premier football teams will take part in the group stages. The competition this year looks to be wide open and the draw for the group stage has given us some fantastic matchups to look forward to. Tottenham have been drawn against Barcelona and Inter Milan in group B, while Liverpool will face French giants Paris SG in group C. The highlight on the other side of the draw is in group H where Cristiano Ronaldo will return to Manchester United with his new team Juventus. As far as the outright winner goes, this season the tournament looks to be wide open. Manchester City and Liverpool look set to spearhead the challenge from England, while Spain will always have a strong chance due to regular winners and current holders Real Madrid and the exciting Barcelona. Paris SG have been improving over the past few seasons and with the money they are spending, the Champions League is their main aim this season once again. With France winning the World Cup this summer, could they land the premier club competition to go alongside that success? Let’s not forget Juventus, who have strengthened by signing Cristiano Ronaldo specifically with the aim of trying to win the Champions League. The final team to mention is Bayern Munich, you can’t have a European club competition without a German team going close and Munich have been around the latter stages of the Champions League regularly for the past few seasons. All in all, this looks to be a wide open year, and many teams will fancy their chances of staking claim to the cup as the group stage begins. Anyone who saw Tottenham play Liverpool at the weekend will have seen a tired looking team who never really looked like threatening. This is a worrying sign for them so early in the season and having to travel for a Champions League away game is far from ideal for them. This is a big game for Spurs, not only because it is the first in their group, but they have to show some intent here and prove to their fans that they are up for the fight. Inter Milan are not the force they used to be, just like many of the Italian clubs. However, if Tottenham are going to turn up here and play as they did on Saturday then the home club will really fancy their chances. An out and out comparison of the two teams shows that Spurs have the better eleven to field, but it will take a brave gambler to back them in Europe after watching them at the weekend. This leaves the door open for Inter, who can take advantage and win this game. This looks to be the game of the week in the Champions League, and Liverpool couldn’t come here in better form. They have won every single league game so far and looked impressive when beating Tottenham away from home at the weekend. Although we are very early in the season, the signs so far are hugely encouraging for Liverpool, and this really could be their year. They will want to perform well in the Champions League though, alongside the league, and will be desperate to show they are better than when we last saw them when they disappointed in the final of this competition in May. The money that Paris SG have spent shows that they are determined to win the Champions League. They have a real grip on the French domestic title, and over the past couple of seasons they have improved in Europe and will be looking to do so again. With France winning the World Cup this summer, French football is going great at the moment, can Paris SG bring the biggest European title to the nation this season? This will be the biggest European night of the group stages for Liverpool, a night which they often thrive on. I’m backing them to beat Paris SG and lay down an early marker here. Manchester City look to be the best chance England have of winning the Champions League this season and this is certainly the next step they need to take. We have seen them rise up to dominate English football, but they have never really threatened on the European stage, something their fans want. They have been handed a relatively easy group here and will be looking to take advantage of that starting with their first game on Wednesday. Lyon are not the force that they were a decade or so ago and they will be fighting it out for second in this group if things go to plan for City. This represents a very tough opening for them, and they will head to Manchester City trying to keep things respectable for me. I see nothing else other than a Manchester City win here, and one that looks like being a very comfortable one for them. After a tough start to the season, Manchester United appear to have steadied the ship a little with two league wins. However, they are still far from where they want to be, and fans will be looking for improvement from them as this month develops. Their Champions League campaign gets off with a tough start though, with a trip across to Switzerland to take on Young Boys. United are a better team than their opponents, few would disagree with that but away from home in the Champions League while they are going through a bad patch, can they do enough to get three points on the board? I think that is a big ask, and slightly too much, so I’ll be backing the draw here as I think United have enough in them to pick something up, but not quite enough for the win. Despite their loss at the weekend and an away trip to contend with, Tottenham are the 6/4 favourites for their trip to Italy on Tuesday. In the game of the week, the bookmakers fancy Liverpool to beat Paris SG, they are 6/5 with the away team priced up at 2/1. Accumulator punters will be focusing on Barcelona and Napoli on Tuesday, Barcelona are 1/10 to win their game while Napoli are 1/2 and they look sure to form the cornerstone of many bets. Those accumulators will likely be running onto Manchester City (2/11), Ajax (1/3) and Real Madrid (1/4) on Wednesday. Those three look to be good things, and anyone waiting for those teams in their bet will be feeling confident on Wednesday morning. Manchester United are 10/11 for their trip to face Young Boys, with the draw appealing at 27/10 in that one. If you are looking for a huge offer to combine with opening a new betting account then this offer from Ladbrokes is sure to interest a lot of people. They are offering their new customers the chance to back Liverpool to score at 28/1 against Paris SG, a huge price for a team that score a lot of goals. Liverpool thrives on big European nights and look sure to raise their game here making this a great bet. The bet is limited to a maximum stake of £1 and all winnings will be paid out to you in free bets. With 16 games over two days, accumulator betting is going to be very popular on the Champions League this week. When placing your bets make sure you take advantage of an offer like the Sporting Bet acca boost. This gives you a boost on your winnings, making your winning bets more profitable. This starts with a 5% boost on a 4-fold, going all the way up to a 50% boost on a 16-fold covering every Champions League game. To qualify you must place an accumulator of £5 or more and this is open to new and existing customers, giving everyone the chance to win more from their accumulator bets. The Unibet penalty payback is a great consolation offer available for every Champions League game. Should there be a penalty awarded in a football game it can change the course of it dramatically, so Unibet will give you your money back on selected markets. The markets are first/last goalscorer, half time/full time, correct score and scorecast. If you like to place these bets and will be doing so this week then it makes sense to place them with Unibet, and if there is a penalty you don’t have to worry about the outcome because you will be receiving your money back if you lose. The minimum stake to be refunded is £5, up to a maximum of £100.